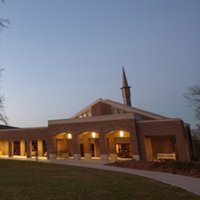 Covenant Seminary is the official seminary of the Presbyterian Church in America (PCA). 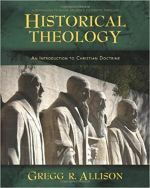 As such, all faculty members are required to affirm the doctrines as outlined in the Westminster Standards. Originally formed by the Evangelical Presbyterian Church, Covenant Seminary was established not long after Covenant College opened its doors in 1955. In time, the college would move to Lookout Mountain, GA, due to space concerns and would eventually become a separate institution. Due to denominational mergers, the seminary would in due course become affiliated with the PCA, a relationship in place to this day. Covenant is also home to the Francis Schaeffer Institute. Covenant is known for its uncompromising adherence to Reformed and Covenant Theology. The school also holds a high view of scripture, proclaiming it to be at once the inspired and inerrant word of God. While students are not required to be PCA, Covenant expects its students to adhere to these basic doctrinal commitments as seen in the Westminster Confession and the Apostles Creed. Currently, Covenant Seminary offers the MDiv, MA (Counseling, Educational Ministry, Exegetical Theology, Religion and Culture, Theological Studies, and Worship and Music), ThM, and DMin. The seminary is also home to the Francis Schaeffer Institute. There are numerous onsite activities for members of the Covenant Seminary community. The seminary takes corporate worship very seriously. As such, the community gathers every Tuesday and Friday during the school year to worship together. The campus even holds a day of prayer once every semester to gather in corporate worship and pray for the community. There are numerous activities offered for men, women, children, and families, even a community garden that students nurture together. Students at Covenant Theological Seminary are fortunate to live in the St. Louis area, a city known for its vibrant culture, including excellent sporting events, museums, dining, and music. You can study systematic theology while cheering on the St. Louis Cardinals during baseball season or the St. Louis Rams during football season. The city also offers numerous places for outdoor recreation, from ice skating to cycling. From the Fabulous Fox Theater to the St. Louis Symphony, there's no shortage of cultural activities available to Covenant students. Numerous parks and and historic cites abound as well. Covenant Seminary offers numerous on-campus and campus-owned housing options. For students who want to live on-campus, there are one, two, and three bedroom options available for both single students (who may live in one bedroom or share a two bedroom) and married students. For students who don't mind a short drive, there are seminary-owned apartments available at Gulf Drive apartments, with one and two bedroom options. All apartments are competitively priced. For students who wish to shop around, the seminary offers guidance in finding safe, affordable housing for its students. Covenant offers generous financial aid to its students in the form of scholarships, grants, and student loans. Scholarships include the Kern Family Foundation Scholarships, Founders' Church Leadership Awards, Strategic Church Development Awards, Ministry Leadership Awards, and other awards based on a student's service to campus-based ministries or other specific criteria. Need-based grants are also available as are PCA-sponsored and government-sponsored loans.